I first saw the Kimkins Diet pop up in the Yahoo Answers Diet and Fitness category about 12 months ago. Someone calling herself Kimmer was trolling the diet-related questions and posting cookie-cutter answers touting an amazing new diet that was better than Atkins. The claims seemed incredible: weight loss of up to 124 lbs and zero need to exercise. 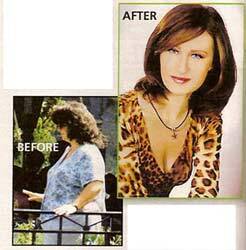 Being curious about this miracle diet I clicked through. 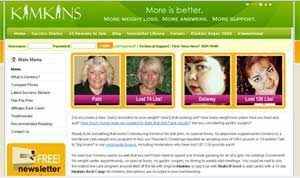 What I found was typical of a fad diet site: Unbelievable claims of dramatic weight-loss, the usual testimonials (predominately from women) with before and after pictures, and Kimmers story of how she went from fat to model-thin using her own amazing diet plan. There were even before and after pictures of Kimmer demonstrating her own transformation from morbidly obese to svelte beauty. With her low-cut leopard top and smoky eyes, I had to admit Kimmer looked pretty hot. It was hard to believe she was the same woman in the grainy before picture who looked like she was steadying herself with the handrail to keep from falling over under all that extra weight. I clicked back to Yahoo Answers, marked her post as spam and moved on. Over the coming months, I saw a few questions about the Kimkins Diet here and there, posted some responses dismissing it as a unhealthy crash diet and recommended spending your $79.95 membership fee on some healthy, whole food. I more or less forgot about it. And then it hit. 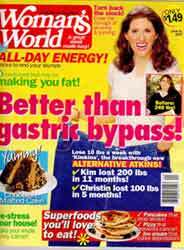 In June 2007, Womans World Magazine featured a cover story on the Kimkins Diet, complete with the pictures of glowing Kimkins success stories and the sensational headline Better Than Gastric Bypass! Suddenly, Kimkins had gone mainstream. What Is The Kimkins Diet? The Kimkins Diet website describes the Kimkins diet as a low-fat, low-carb weight-loss program that doesnt require pills, special foods, expensive supplements or exercise. It also presents itself as an alternative to costly gastric bypass surgery, which immediately throws up a red flag that the diet is targeting the most desperately overweight people people who really need the help of a nutritionist and medical weight loss professional, not an Internet guru. ough all of that meat and eggs her diet prescribes. Not a good sign. At its core, Kimkins is a variation on the Atkins Diet. But where Atkins has you consume more fat as you reduce carbohydrates (the fat is then metabolized for energy), Kimkins tries to reduce dietary fat to extremely low levels, and has you consume the bulk of your calories in protein. While limiting dietary fat and carbs may seem like a dieting grand slam, its actually extremely dangerous at the levels recommended by Kimkins. s. And second, protein is not easily broken down for energy. In fact, high protein, low-fat and low-carb diets have a documented history of producing serious nutritional deficiencies, and in some cases have been actually been associated with serious (and sometimes fatal) conditions like sudden cardiac arrest. In the 1960s and 1970s there were a rash of serious side-effects (and in at least one case, a fatality) associated with low-carb, low-fat, liquid protein diets. Autopsies suggested that two things may have been at work: serious electrolyte disturbances caused by the protein-only diet threw off heart rhythms in some dieters, causing cardiac arrest. In another case, it appeared that there was atrophy of heart tissue, probably the result of the extremely low calories, which caused the body to feed on its own tissue (including heart tissue) to meet its basic energy requirements. ly restricts fat consumption along with carbs. Whether or not you agree with Atkins high-fat, high-protein approach, Atkins is very clear that reducing dietary fat on a low-carb diet is dangerous and their diet is at least structured to avoid this double-whammy. Kimkins makes no such allowances in their diet, and the complete lack of fruit, whole grains and dietary fiber is a recipe for disaster. Would you lose weight on Kimkins? would lose weight at these extremely restrictive calorie levels. 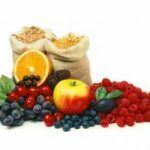 The problem is that like any fad or crash diet (for example, the Cabbage Soup Diet, Grapefruit Diet or Master Clense) youd also be losing a lot of key nutrients, including essential vitamins and minerals. Bottom line is Kimkins is a nutritional disaster with the potential for serious side-effects. And on top of that, youll be out $80 bucks to boot. But what about that Womans World article with all of the success stories? What about all of the dramatic before and after photos and testimonials on kimkins.com? I mean, the diet seemed to work for all of them, right? Heres where the whole Kimkins Diet story gets really interesting. A group of skeptical Kimkins dieters hired a private investigator to learn more about Kimmer. Turns out that Kimmer isnt the lean and lithesome siren you see in her pictures. In fact, Kimmer isnt even named Kimmer her name is actually Heidi Diaz and once you see some pictures of the real Kimmer, youll seriously re-think taking any fitness or diet advice from her. Those Success Stories on Kimkins.com and in Womans World Magazine also appear to be fake. Where did the photos come from? Well, it appears that some of Heidi Diazs most visited websites were Russian dating sites. Thats right, most of her success stories were just a series of photos downloaded off Russian bride sites. Add a little creative license and you have an instant Kimkins testimonial. 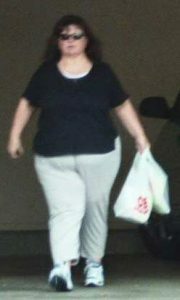 Heres a complete list of thefraudulent Kimkins diet success stories, with pictures. As fast as you can down a bottle of Milk of Magnesia, the Kimkins Diet drew the attention of the media, starting first with an investigative report from Los Angeles TV station KTLA. Hot on the heels of the KTLA report, ABCs Good Morning America followed-up with a segment on the controversy, interviewing former Kimkins dieter (and the Womans World Kimkins Diet covergirl) Christin Sherburne. Sherburne who actually worked briefly for Kimkins as an admin doesnt have many nice things to say anymore about Kimmer or the Kimkins Diet. By the time the dust settled, it looked pretty clear that the Kimkins Diet was a big, fat Internet scam one that allegedly netted Diaz well over a million dollars by some estimates. As word of the scam spread across the Internet, stories started to emerge of how devastating this diet may have been on some of the people who adopted it. serious bowel complications as a result of Kimmers advice to regularly use laxatives. On top of this, there were the psychological scars former dieters carried as a result of being misled by someone they trusted. In some cases, former dieters have found themselves under medical care in order to recover from damage they claim the Kimkins Diet wrought on their health. Currently, a group of former Kimkins dieters are pursuing a class-action lawsuit against Heidi Diaz, accusing her of false-advertising and fraud. What she did was she seized on peoples hope for weight loss. She lied about her own success story for profit, said John Tiedt, an attorney who represents the plaintiffs. Last fall, a judge froze Diazs assets and Diaz herself confessed to being Kimmer and admitted that some of her claims about her own weight-loss werent accurate. The lawsuit is still pending and Kimkins.com continues to operate albeit, without the pictures of Russian mail-order brides. Thank you for such a up front and honest review of the Kimkins Diet.unfortunately Heidi Diaz still attempts her viral marketing techniques such as using the yahoo answers. She specifically targets teens. Links to her site have been found on the pro anorexic websites. Heidi preys on the obese in our society. She counts on the fact that they will try anything to lose no matter the consequences. Too bad many still fall for itjust because they do lose some weight. Granted they lose their health toobut hey that hunk of metal in the bathroom rules their entire life. So sad.. Very biased and one sided story. Did not agree with you at all. Kimkins works great for me and I am NOT starving at all. Use common sense people. Really. Devasting- hardly! USE YOUR BRAIN PEOPLE! Good grief! So which one of the QUACKS are you? Dana, Im sorry that you felt that my take on Kimkins was one-sided. While I disagree with your assessment that the diet is great I do respect your right to air your opinion. I will let the facts stand: The diet is too calorie restrictive; it recommends the use of chemical laxatives which can be dangerous when used for long periods of time; it is nutritionally unbalanced; and the founder of the diet misrepresented herself, her success stories and her own amount of weight loss. These facts are difficult to dispute. I stand by my article and its accuracy. Heidi seems to have done a perfectly good job of discrediting herself, Im just reporting what happened. No embellishment is necessary. In this case, truth clearly is stranger than fiction. Thanks for the thorough review, Matt. I agree with you that the facts are difficult to dispute. Wow! I have never been one for fad diets or crash dieting. Since I was a young child I was taught the importance of proper nutrition and health along with exercise. I have been blessed with good genes as well. This is terrible though because so many people get sucked into fad diets and especially the ones that promise rapid weight-loss. There really is no such thing if you think about. My thinking is if its too good to be true it usually is. I would like to make a comment for Dana if I may. I understand that this diet worked for you but just because it worked does not make it healthy. You got the results you wanted, great! Ultimately this is not a way of life and if it is for you there will be heavy consequences to pay with your health down the road. I went to school for health and nutrition as well as managed a large vitamin retailer for years. I have seen it all as far as fad diets go and this one is just as bad as all the others. I am not out to hurt your feelings just out to let you know that these issues truly concern me. It is your health that is at stake so be careful and good luck. Jordan, I couldnt help but notice that your name links to a website hawking hoodia diet pills. Doesnt that qualify as a rapid weight loss promise? It doesnt really seem to be all that different from a fad diet, IMO. Interested in knowing your response. Hi Matt! I would love to respond to you. 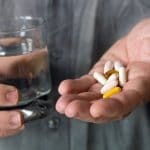 I understand where you are coming from and I just want to say that I dont consider hoodia to be a supplement that produces rapid weight loss results. Hoodia has been around for hundreds of years and is a rare plant species that was once used by the San Tribesman of South Africa when they went on long hunting journeys. Today we are all well aware that hoodia is known for suppressing the appetite. Yes it does fall into the fad diet category with all the different products out on the market today and many of them making bogus claims but did you know that hoodia has many other health benefits besides reducing hunger? Hoodia can help with indigestion, diabetes, hypertension,abdominal cramping, regulate glucose levels. This rare plant was first noticed because of all its medicinal uses and because it gets so much attention with diet and weight loss many people dont know that it has so many other benefits. I dont believe there is a substitute for diet and exercise I think hoodia can help tame hunger and cravings though. why, why WHY cant people simply understand that dieting alone will NEVER help them lose weight permanently? There are no secrets to losing weight folks. All you need to do is eat a little less, and work out a lot more. Spend one hour in the gym every day, and eat 500 calories less. I GUARANTEE you that within a month, youll start seeing noticeable changes. Do it for 6 months, and you will pretty much have the body of your dreams. I gave this regimen a try last summer and i have to say that it worked, atleast for me. The only thing is that I did have to supplement this with some specific exercercises to keep everything tight. Thanks.